I love to see to see other artists sketch books. So far on every exhibition featuring a specific artist there were sketch books on display as well. 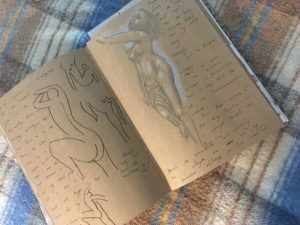 Maybe I am fascinated because I love to use sketch books as well, but I think it allows you into the artists head. It shows how he thinks, what he thinks and shows his real drawing abilities. It shows a secret world. Almost like reading someone’s letters or diary. This morning I finished the first Paris visual diary. It is a good feeling. Many memories between those covers, good ones! 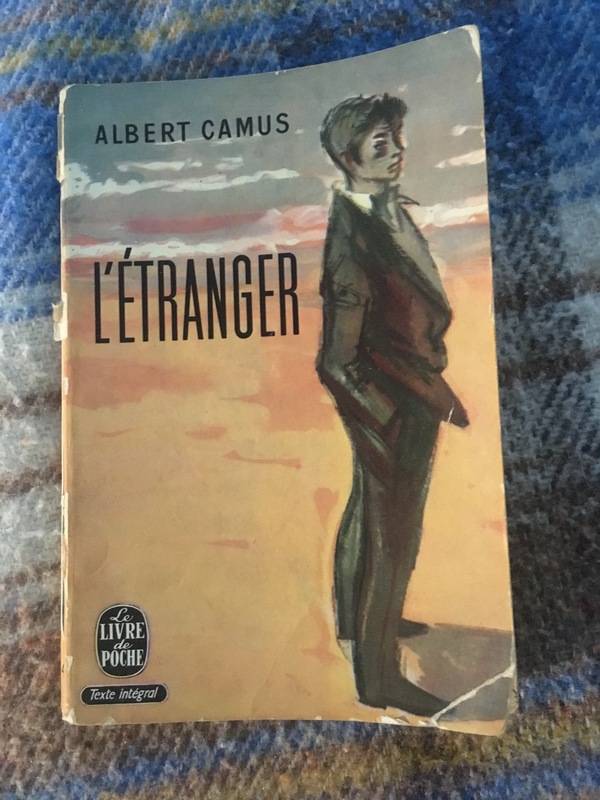 I just have to show that I did buy one ‘new’ second hand book at the stalls I talked about yesterday, but is does not count because I am halfway reading it and so far in translating it from French to Afrikaans. Sometimes I wonder why one painting wil just leap onto the paper while the next one will just not come right. This one took all of six minutes and it was done! We went back to Montmartre today. We did not see the Salvador Dali and it is a must see for me! 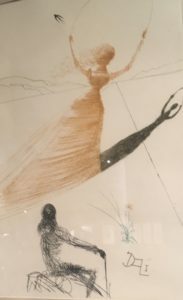 As always Dali never disappoint. The exhibition is mostly grafic art and sculptures. But the grafic work and sketches really got to me. He did illustrations for major literary works: Dante’s Devine Comedy, the Bible, Shakespeare’sRomeo snd Juliet, Alice in Wonderland and many more. It is his personal iconography that fascinates me most. 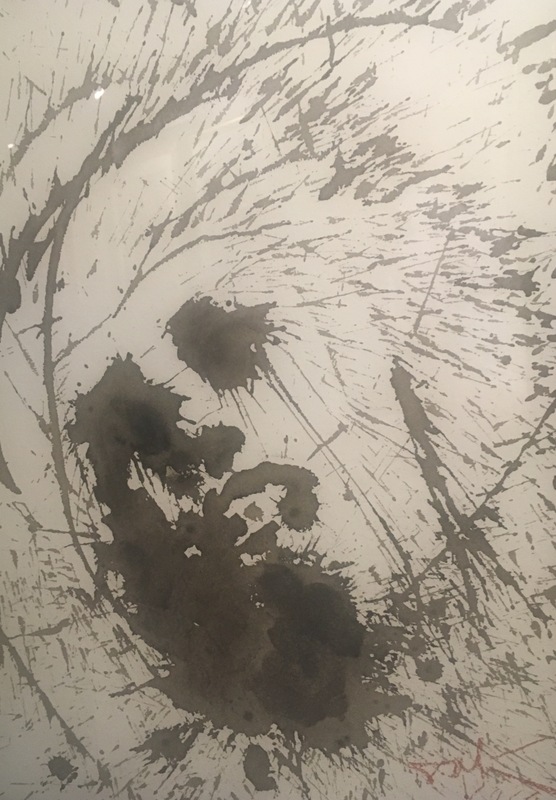 He has symbols and a personal art language all of his own. The personal philosophy that went into the creational prosess is fascinating. A world apon itself. If you look at it superficially it sometimes appears ridiculous, but do look a second time. You can see these works differ radically from the oilpaintings we know so well. Being hungry we stopped at a Bistrot (right spelling). I had duck leg with orange, one of my favorite dishes, and I must confess it tastes even better in France. 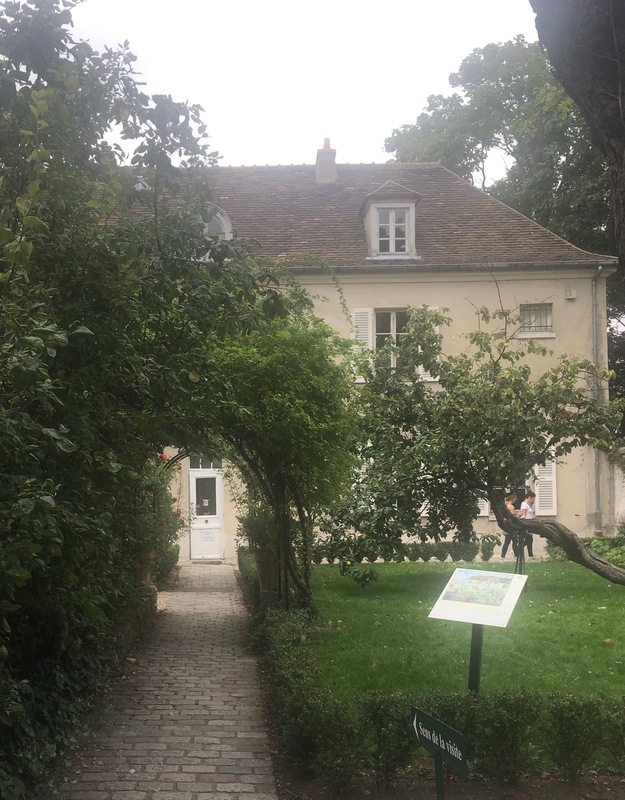 We stopped at the Montmartre museum, it is housed in Renoir’s old residence. Hisgardens is beautifully restored. The museum is a memorial to all the painters, musicians and dancers living here at the beginning of the twentieth century. That means almost all artist of note at the time. 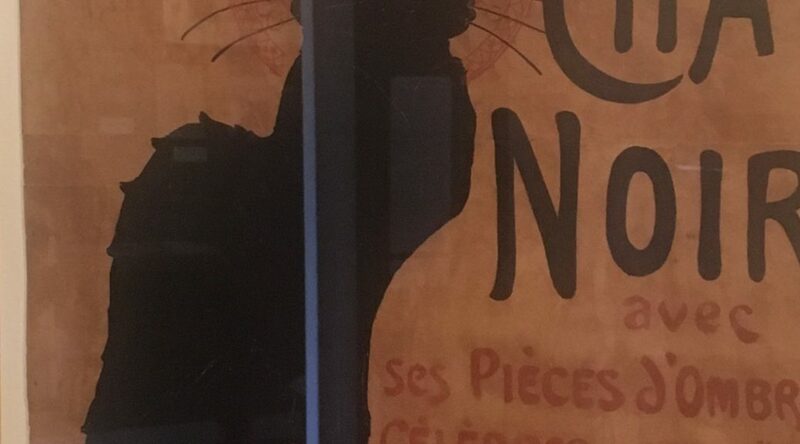 I wanted to see if there is any theater posters of the time. I was not disappointed. 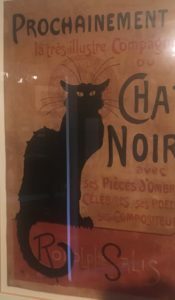 After admiring the chat noir prints for many years, I found today what it really were. 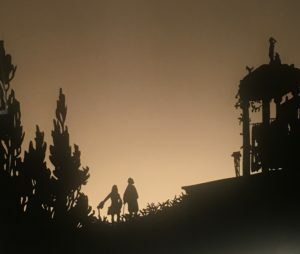 Chat Noir is a shadow play on a back lighted screen with a backdrop and mobile cut out actors. Apparently quite sophisticated with actors doing voices, music by a small band and a written script. 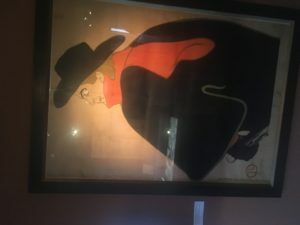 Of course all the favorite posters was there, photo’s of famous personalities aand paintings by lesser known artists. After a day with soft sunlight and low clouds we ended our day with a soft warm rain to walk in on our way home. Dankie dat jy julle reis deel. Oor die sketsboeke, Emile: Word die publiek toegelaat om daardeur te blaai of is daar seker afskrifte vir hierdie doel? Vanuit ‘n bewaringsoogpunt.